A Royal Mail truck’s predicament after reportedly hitting a railway bridge in a Leicestershire town has prompted a flurry of sarcastic comments on social media. 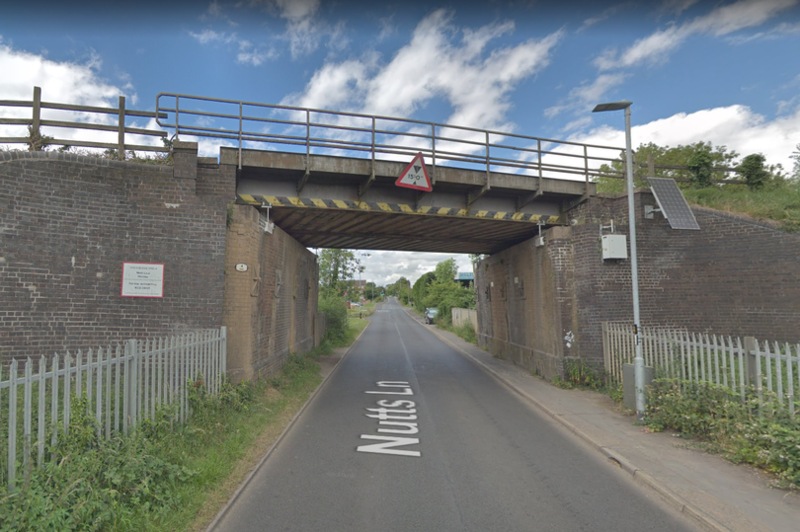 It’s understood the truck tore its trailer apart after hitting the railway bridge in Nutts Lane, Hinckley, which has a 15ft height limit, at around midnight last night. 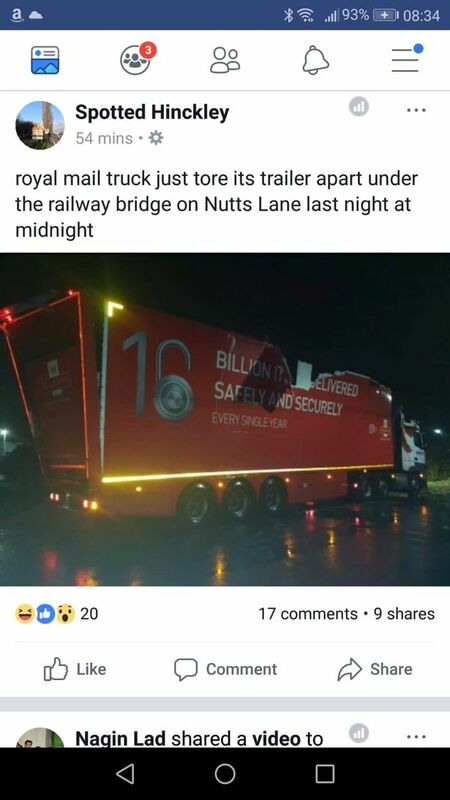 Images of the badly damaged articulated truck’s trailer, bearing the slogan “16 billion items delivered safely and securely every single year” posted on the Spotted Hinckley Facebook page attracted comments, including “The Royal Fail” and “oversize charge due”. Sarah Jayne Adams: “ The irony of that slogan - #oops”. Ian Dowell: “The Royal Fail”. Emma Clare Heath: “ That's what the bloody noise was”. Steve Crowe: “Oversize charge due”. Neither Leicestershire Police not Leicestershire Fire and Rescue Service were called to deal with the incident. It’s not known if the driver was injured. LeicestershireLive has tried to contact the Royal Mail. Doesn't look like a Royal mail truck. It'll be a contractor pulling a royal mail trailer over Christmas.